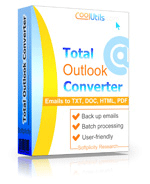 Total Outlook Converter is a much sought-for converter thanks to its highly intuitive interface and powerful engine. Compact and handy, it is quite feature-packed and therefore can be used for different purposes. 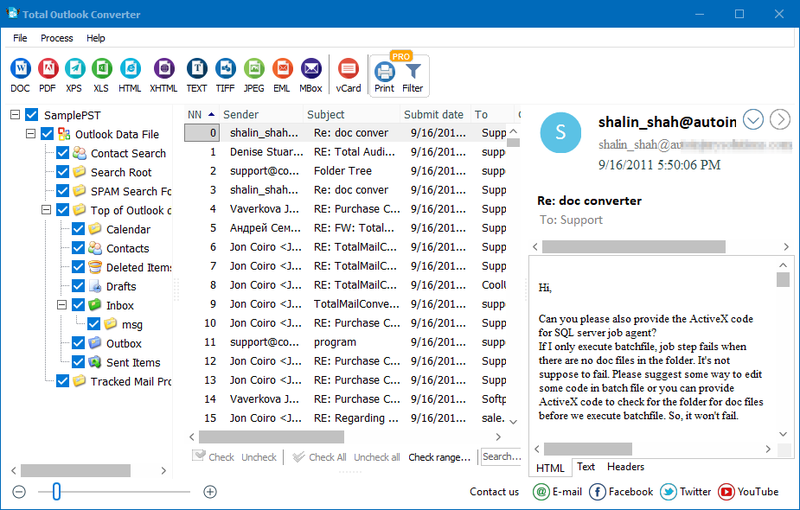 Most important, it converts outlook emails to PDF in batch, and you can save your output PDF files in different shapes. 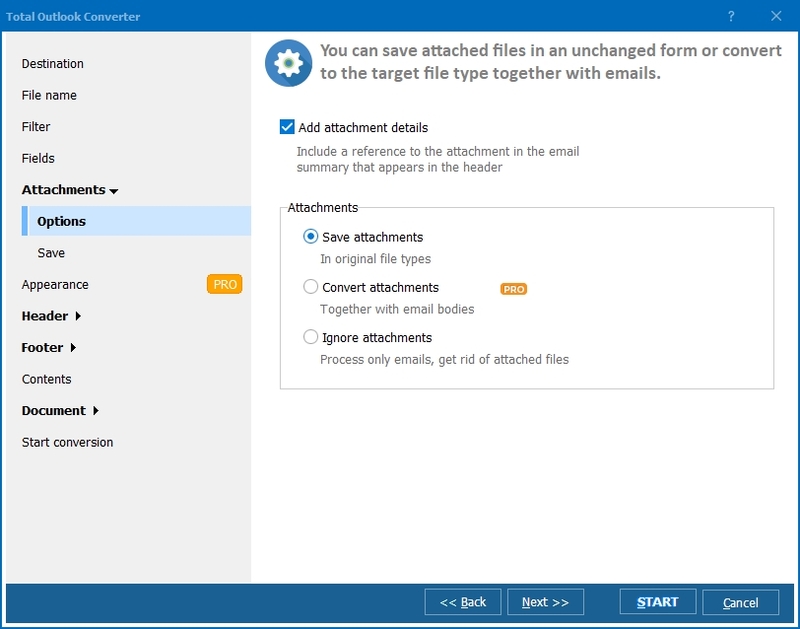 For example, if you are converting several email messages, you can either save them as separate files with initial layout fully intact or combine them into one big PDF document. This gives you a bunch of opportunities in archiving your business correspondence, so that you will know where to find the needed message and you can refer to it any time. Total Outlook Converter is configured to recognize Outlook emails on a PC, so you will not have difficulty locating your emails. This Outlook Converter can be operated via interface and via command line (for advanced users). Run the interface and click on the folder containing your input Outlook messages (outbox, inbox sent items, etc.) View the list of emails located in your chosen folder in the middle part of the interface. Check out messages, which you need to process. To batch-convert your messages, press the the "Check All" button. The program will check the whole group. Then specify file name template for your future PDFs. Go through the options included in the Attachments section. Here you can choose to save attached files in separate folders or unzip attached archives. If you want to convert attachemnts as well, you need Total Outlook Converter Pro. 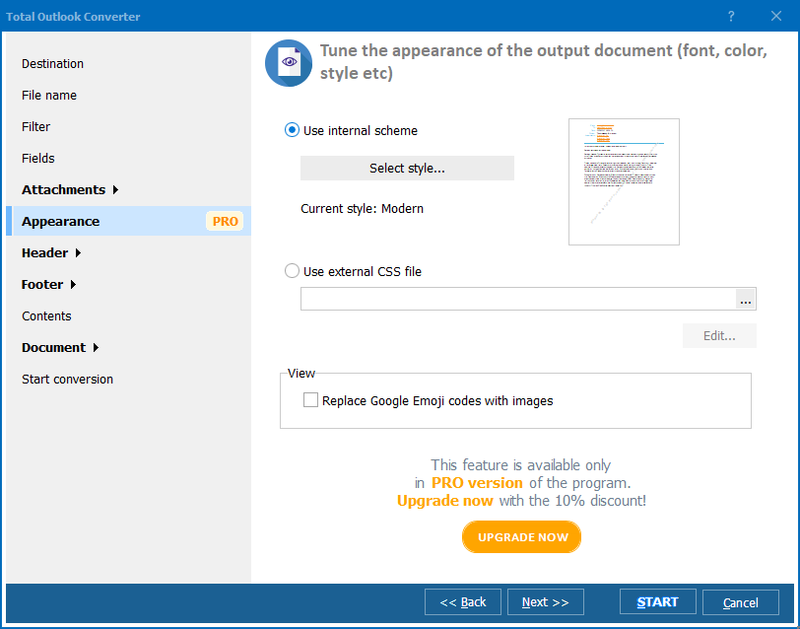 Select appearance for your PDFs. Here you can either use internal scheme or external CSS file. Shape headers/footers in your preferred way using various fonts, set numeration and define position on the page. In the Document section, set paper size, margins and properties. Press the Start button to convert your messages to PDF. Now you know how to save Outlook emails ad PDF files. However, reading a description is one thing and trying it is another. Download the free 30-day demo version and test it on your Outlook messages.